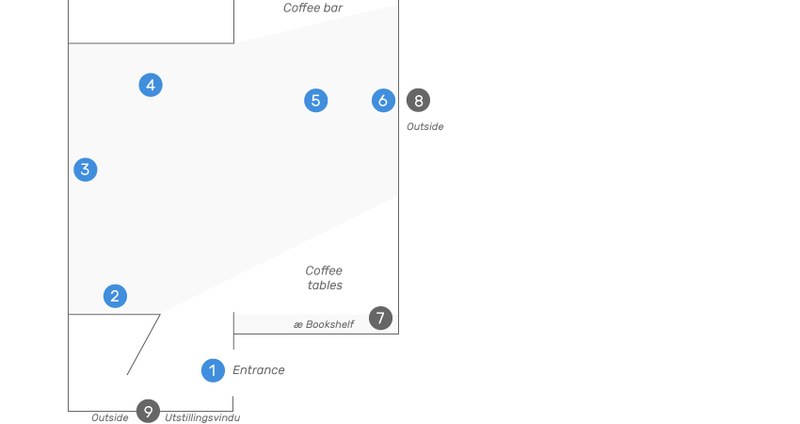 antipodes café highlights with gratitude all its roots and sources. The references of the project “antipodes café DEG15” are many from past and present and from here and there. We tried to invite as many as we could to participate in diverse activities such as exhibitions, gatherings, urban interventions, concerts, etc. 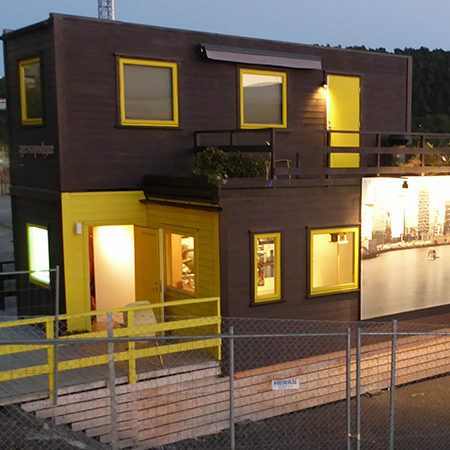 During almost the whole time of our particular urban intervention we developed 5 mayor shows in this sense. 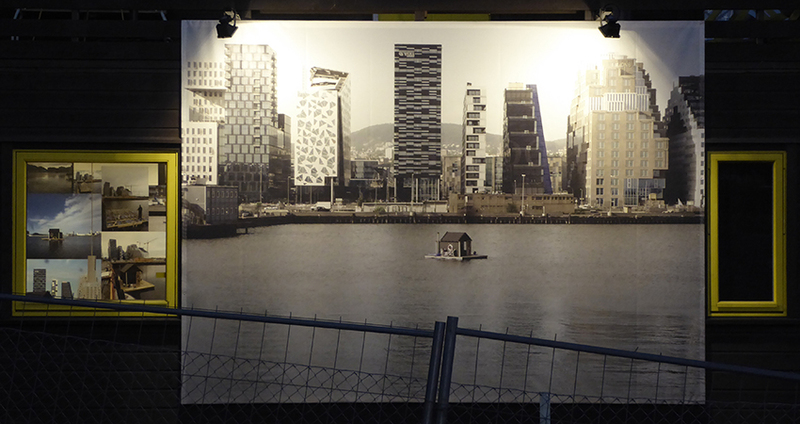 One of them was by the German artist, Pfelder, highlighting his project “The Isle” developed in Bjørvika three years earlier. For that project Felipe collaborated in its montage and during its last day, Tuva appear in the scene from another angle, and since then she is part of antipodes café, being now its Co-Director. So more than a reference, right there another floating began. 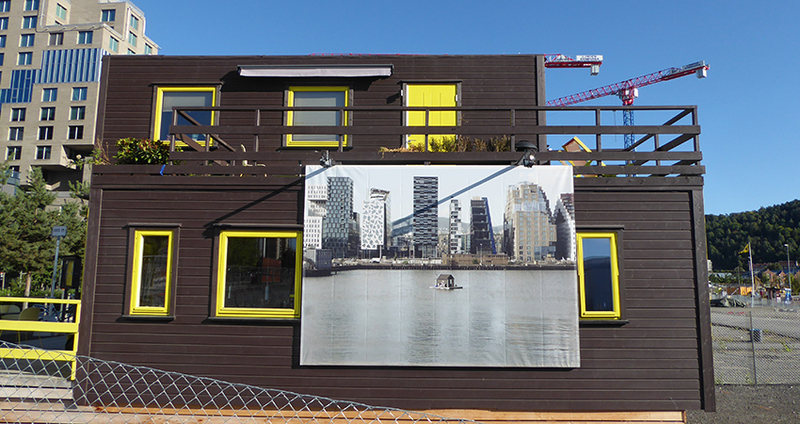 “It was May 2013 when ‘The Isle’ suddenly appeared in the Oslo harbour. 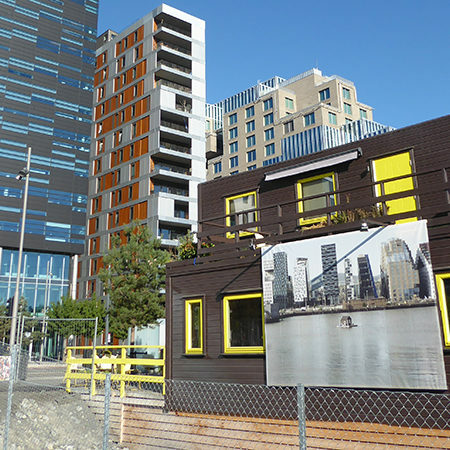 The floating wooden hut in Bjørvika was an art project by the Berlin artist, Pfelder, and offered free overnight accommodation over a period of 4 weeks in the immediate vicinity of the Barcode high rise buildings and the National Opera house. The hut was quickly booked up and each night accommodated curious and enthusiastic visitors. 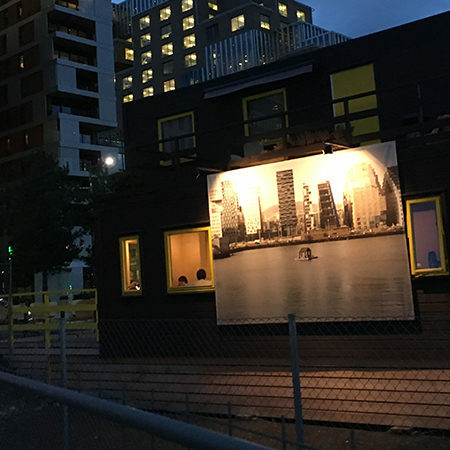 The project, ‘hic habitat felicitas’, continues the story of ‘The Isle.’ Visitors can find memories of the floating hut at antipodes café. 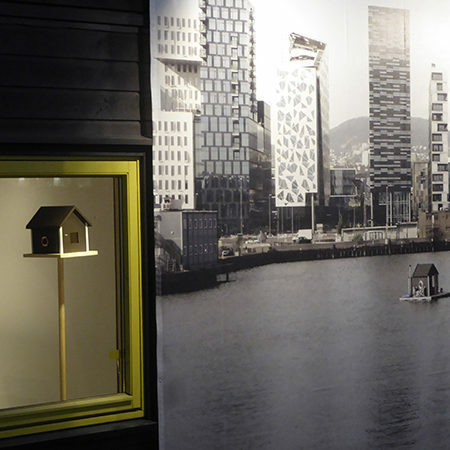 Furthermore, models of the hut on a scale of 1:100 now appear all over Bjørvika as nest boxes, offering accommodation for migrating birds. The bird houses genially occupy the public spaces of one of the most expensive development areas in Europe and, with their red and white life belts, symbolically stand for openness and helpfulness in times of radical urban and global migratory movements. 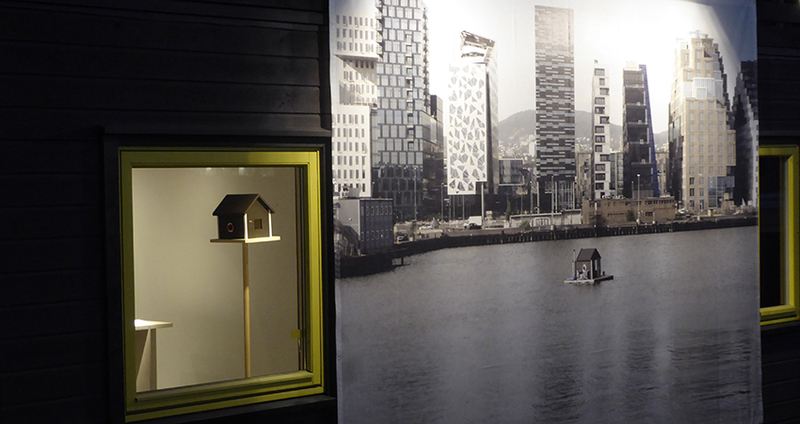 In addition to memories of “The isle” both inside and outside antipodes café DEG15, the show also included a urban intervention for which we collaborated in its development, consisting in 14 Birdhouses mentioned above. The show was mounted during a couple of days with open doors, and before its opening the following Monday with no vernissage as usual, the show included a gathering with the author called “Kaffe med… Pfelder” ended with a guided tour with the artist to spot all the birdhouses. The exhibition counted with a homemade catalogue printed on demand and including the map. If visitors returned to the show presenting a picture of one of the birdhouses, they received a postcard signed by the artist on return. hic habitat felicitas 2016 Doormat Title of the exhibition printed in a small carpet placed right in the entrance. ‘The isle’ 2014 Audio Text by Kjetil Røed. Read by Peter Cripps. Birdhouse 2o16 Wooden model Same as those used in the urban intervention. 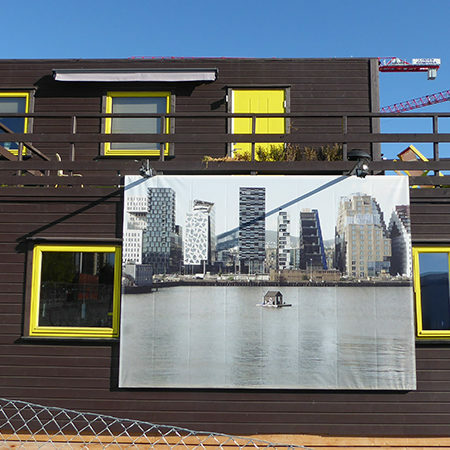 Location of birdhouses 2016 Map of Bjørvika, Oslo Painted in the wall, with references to the birdhouses. ‘The isle’ Postcards 2016 Photography Edition of 1000 postcards. 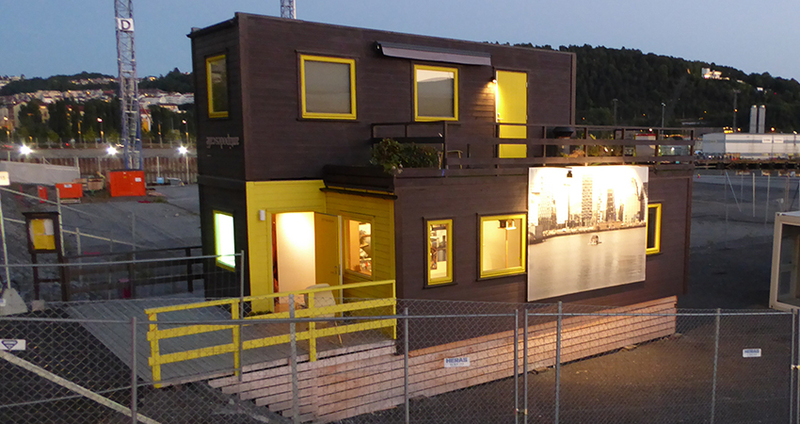 Same photography as in the billboard in the front. Signed by the Author in the reverse. 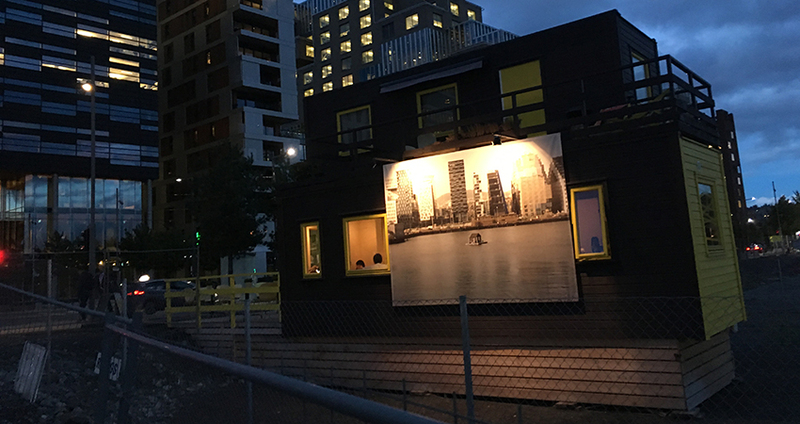 ‘The isle’ Bilboard 2016 Photography/Installation Installation in the side wall of antipodes café DEG 15. 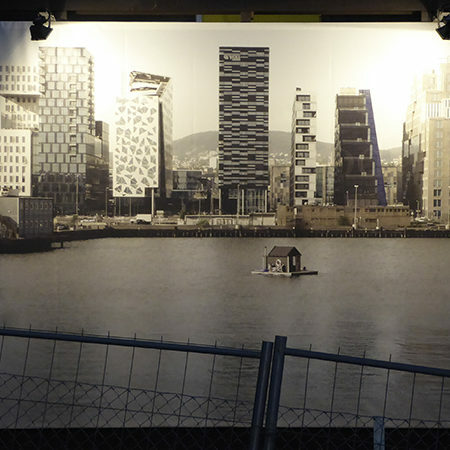 ‘The isle’ sketch 2013 Photography/model Image of the first model for building ‘The isle’ placed in the centre of the storefront window show space “Utstillingsvindu” during the whole time of the exhibition “hic habitat felicitas”. 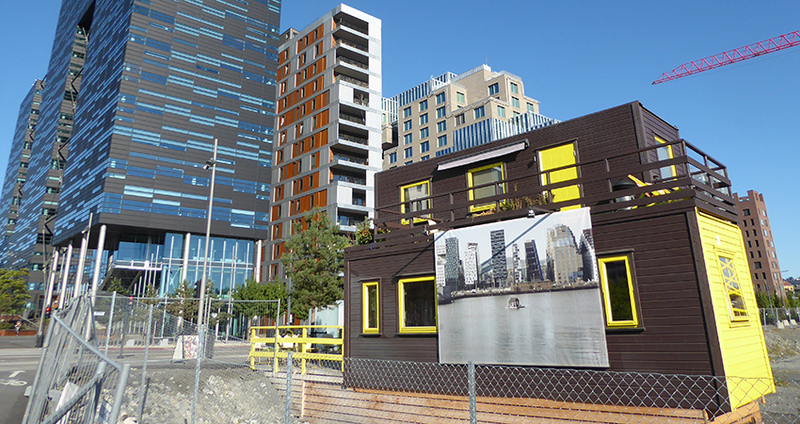 For many years Pfelder has specialised in artistic works incorporating public space. His main concern is to unite different artistic positions and to present them in a specific, urban, social and infrastructural situation. One of the most important aspects is to temporarily regain a specific urban environment as a stage, as a place for experiments and as a reflection of the creative, social and urban studies. Themes of public relevance are taken up, and the public itself is dealt with as a theme.